expression. For children and adults, music helps strengthen memory skills. lines) for taking a bath, dressing, eating and going to bed. benefits that support children’s early development. Toddlers love to dance and move to music. 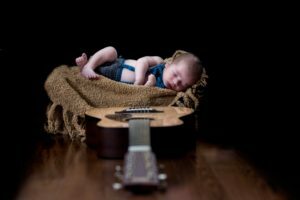 This is why our musical area of Baby Power is so popular! which can help them with their hand-eye coordination and exercise their clutch grip. to say them such as” elemnop “when singing the alphabet song. socialize with other children of their age. strengthen the connection between body and brain to work together as a team. TO A BABY POWER CLASS! WE DO IT WITH YOU!